This 3+/- acre lot is ideal for a hotel, convenient store, or fast food chain/ bar. 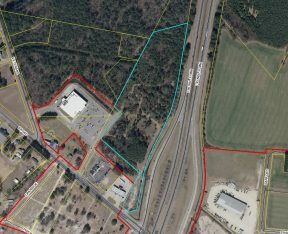 This property is located near the I-95 Interstate off the 1st northern exit from Florence. Sale price is $329,000.